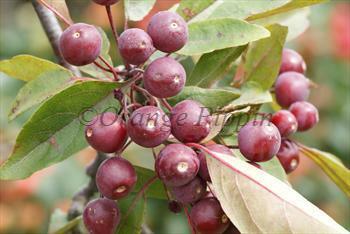 Malus Profusion is an ornamental crab apple which makes a compact tree. As the name suggests, it flowers profusely, with an abundance of crimson pink blossom. The tiny crimson fruitlets persist on the tree into late autumn. They are popular with birds, and also have some culinary value. Please fill in the details below and we will let you know when Malus Directeur Moerlands Profusion Improved crab apple trees are back in stock. 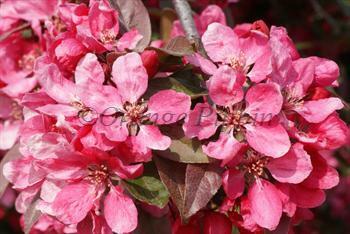 Malus Directeur Moerlands Profusion Improved is in flowering group 2. Malus Directeur Moerlands Profusion Improved is self-fertile and does not need a pollination partner, although fruiting may be improved if there is a compatible tree of a different variety nearby.